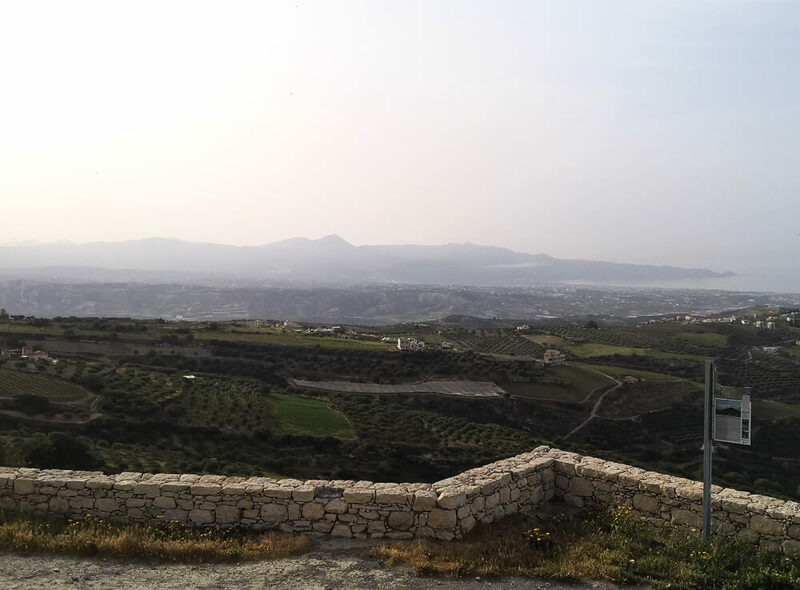 Ayia Triada is situated approxx 2 kilometers from Phaistos on the west slope of a hill 30-40 metres above sea level. The original name of the place is unknown. Ayia Triada was probably first settled at the end of the Neolithic. 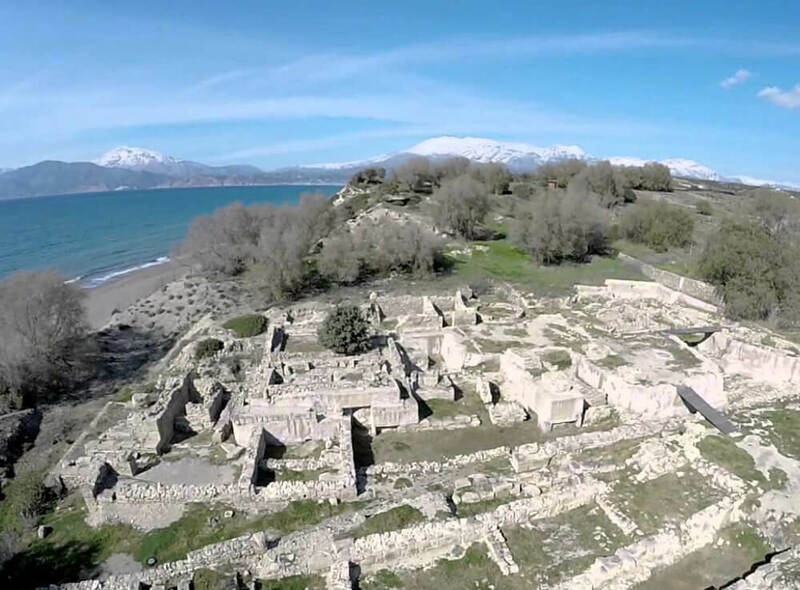 It seems that a significant settlement on the site now known as Agia Triada existed in the Early Bronze Age. Further evidence of early settlement is the two Early Minoan tholos tombs together with their funerary rooms. In keeping with local practice, these tombs were used for collective burial. Agia Triada was inhabited throughout the Middle Minoan period, but it is still not known how important the settlement was at that time. 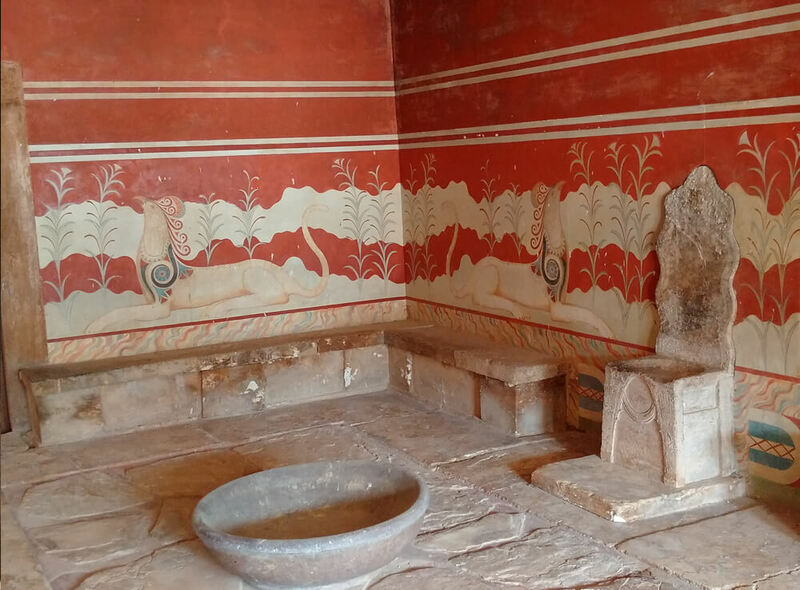 On your private tour in Ayia Triada you will be informed that the Royal Villa was built at the end of the middle Minoan period (MM IIIB) or possibly in LM IA, approx. 1550 BCE. It was destroyed by fire in the general destruction of 1450 so it was in use for between 100 and 150 years at the most. Its existence has been explained by some as a “Summer Palace” for the “King” of Phaistos or other important officials. Others have argued that Agia Triada was the seat of a local ruler or even priest of that era (similar theory of the little palace of Knossos as mansion of the priest of Knossos). After the destruction of 1450 the place was deserted until the period of the arrival of the Mycenaean’s when new buildings were constructed on top of the remains from the neopalatial era. The numerous important findings at the site include Linear A tablets and clay sealings, indicative of a local bureaucracy, as well as wall paintings and stone-carved vases, of which the most famous are the Chieftain’s Cup, the Boxer vase (a rhyton with scenes of boxing, wrestling and bull-leaping), both carved in steatite, and the Harvester vase, also a rhyton. The famous sarcophagus, showing funerary rites being conducted, was found nearby in a Minoan cemetery dating from the same period as the Royal Villa. Now days the findings are at the museum of Heraklion. Continue your excursion in Kommos and explore the site together with a licensed travel guide. Excavations have been carried out since 1976 by the American School of Classical Studies, led by Joseph Shaw. 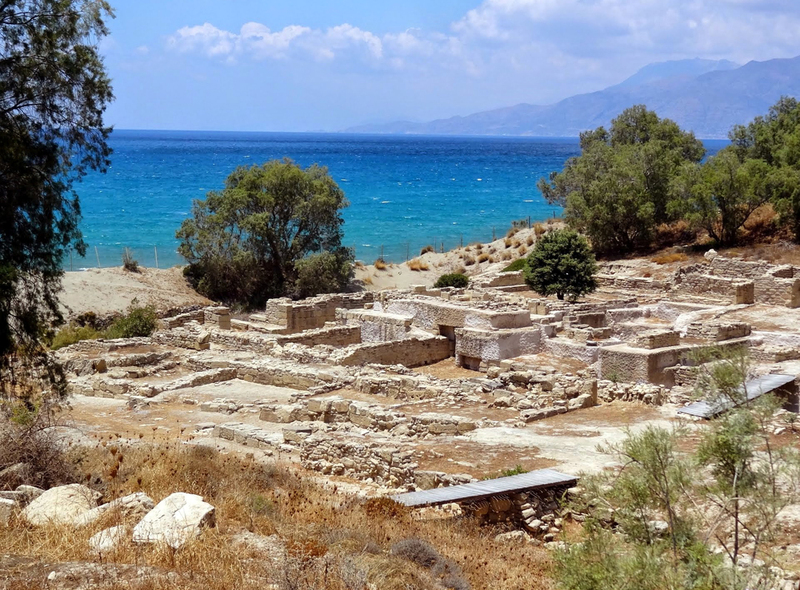 The Minoan settlement of Kommos lays 5 kilometres south-west of Ayia Triada and six kilometers south-west of Phaistos. The settlement is situated on a small hill next to the beach at the end of the Messara plain near the village of Pitsidia. 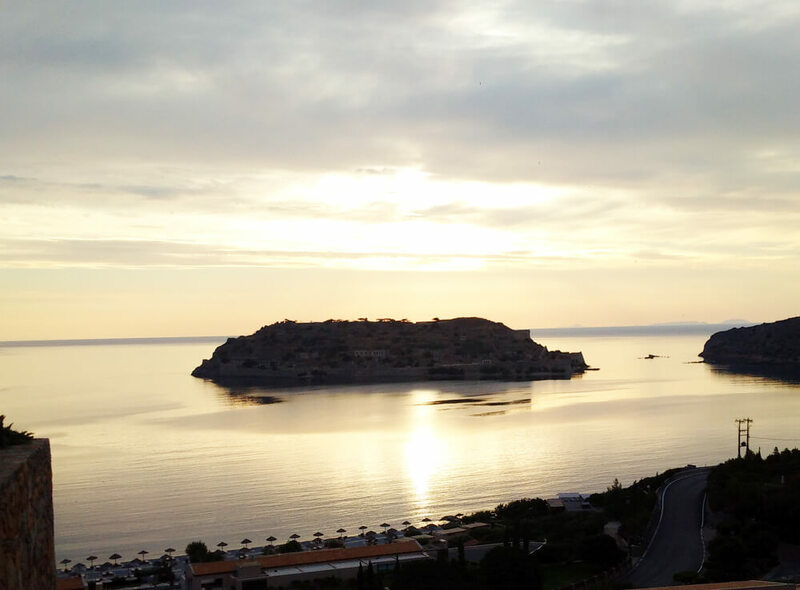 It is most likely that the harbour served the palace of Phaistos. This is borne out by the discovery of a variety of imported pottery, especially from the Late Minoan I-IIIB period. It is possible that Kommos was linked to Phaistos by a paved road. The town was founded in MM I, and grew rapidly until MM III. It is possible that the town was destroyed by an earthquake and abandoned. Middle Minoan houses have been discovered in levels below the Late Minoan houses on the hilltop. In LM I the town was rebuilt. On the top of the hillside the houses are densely packed while at the bottom of the hill there is a monumental building with very large pieces of ashlar masonry. Building and rebuilding continued at the bottom of the hill throughout Late Minoan II and Late Minoan III. 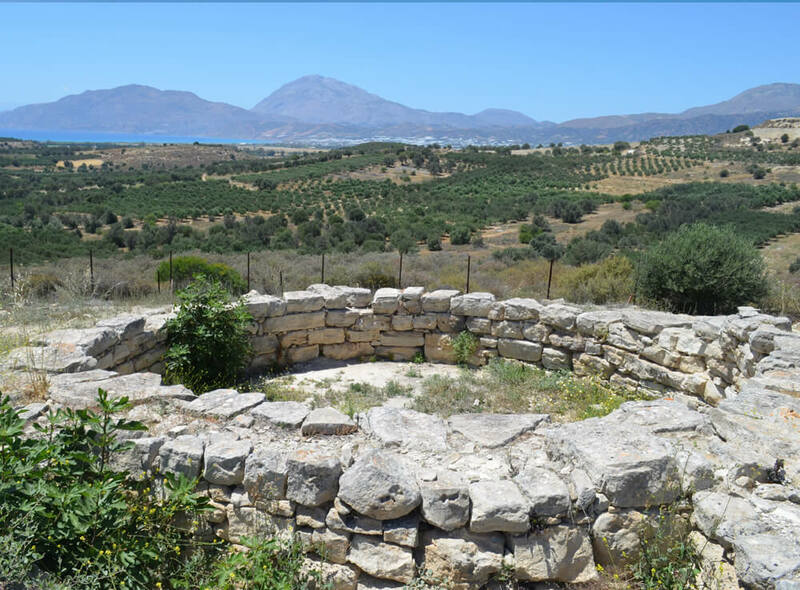 As your private tour carries on you will visit the Kamilari tholos tomb which is located on a low hill near the sea and 1.9 kilometres south west of Ayia Triada and therefore also very close to Phaistos. The ground was levelled before the foundations of the tomb were laid and it is thought that the tomb had a stone roof. To the east of the tomb there is an annexe of five rooms and north of these there was an area for offerings. It was here that the earliest pottery from the tomb was found together with some small stone vases. All the vessels had been placed upside down. All together 500 vases have been found in the area outside the tomb and 250 inside the tomb. Clay sealings have also been found.